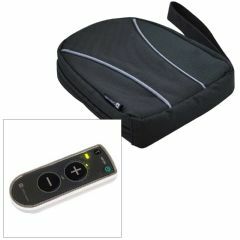 AllegroMedical.com presents The Comfort Audio Duett New Personal Listener Carrying Bag. Handy carrying bag protects your Comfort Audio Comfort Duett Personal Listener when not in use, making it easy to store and carry. The bag is designed for the Comfort Duett model with large volume buttons.